Now, if you've been following PolishGalore, you know that I love the idea of nail wraps but I'm not the best at applying. That doesn't mean I don't have a whole drawer full of them though! One thing I have been missing is my OWN wraps - literally! 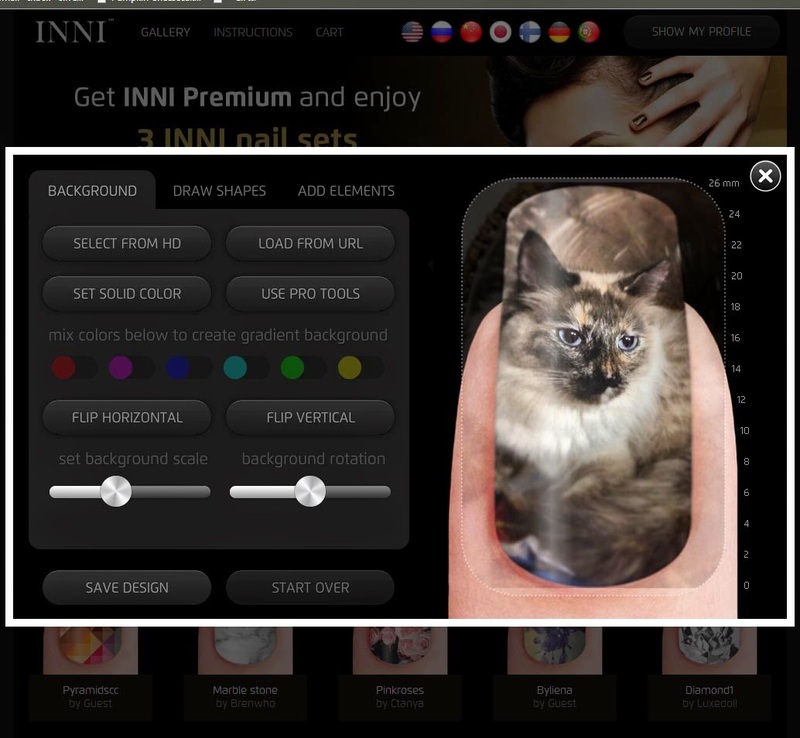 Like, what about wearing my PG on my nails, or my cats (I do currently have 7). 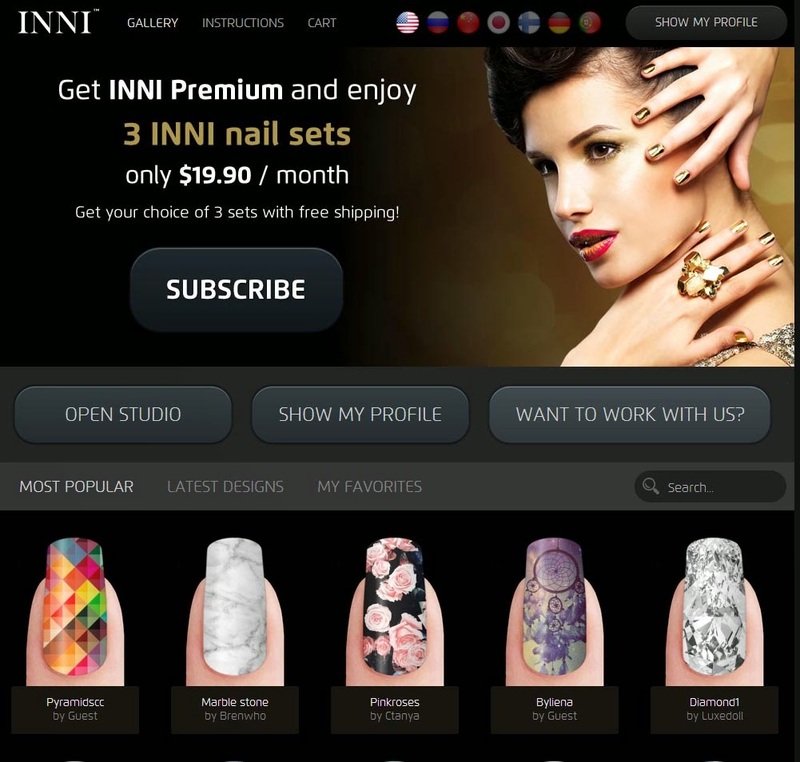 Now I can because a new customizable nail wrap company INNI has launched! Use a photo from your computer and upload it to their website and you can have your own wraps for only $9.90 a sheet (30 pieces in 13 different sizes). Not bad for a very special occasion! Did I mention free shipping? Don't have a photo you want to use but you can draw? They offer that option too. Can't draw? Well there are one million pre-created designs available. Nail wraps something you use often? They have a subscription service for $19.90 each month to receive your choice of 3 sets (savings of $9.90) that runs through PayPal. You can create your own by using the "Open Studio"
I decided to create a set using my cat Saffire. I had to make the image a little smaller using the set background scale but that was all. Only downside is there isn't an "undo" button anywhere in case you make a mistake. Instead, you just have to start all over. Save your design and viola! 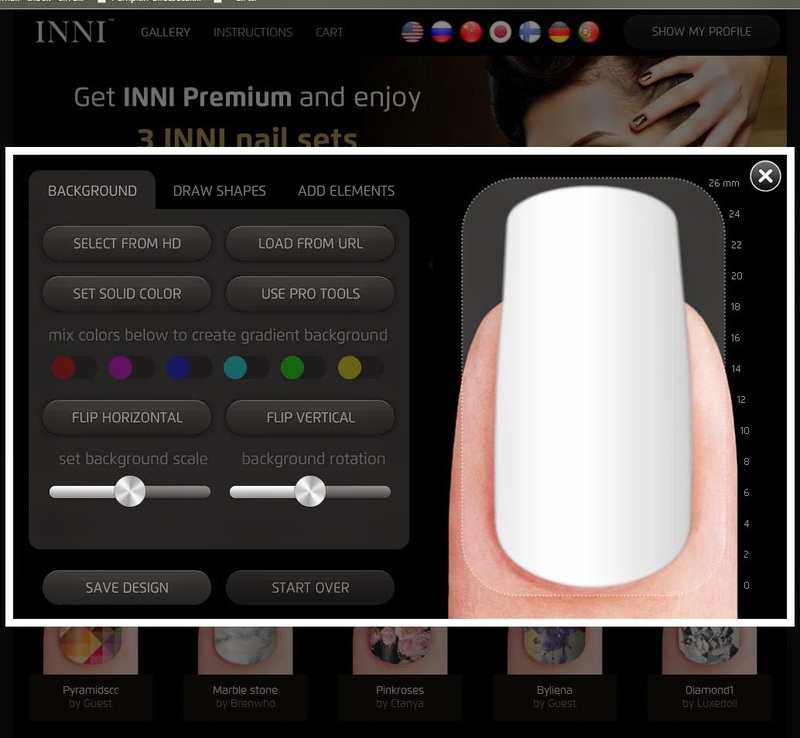 To apply, have a clean nail and choose your width. Smooth on and file down the excess of the wrap. They boast a 10 day wear time and removal is to just peel off the stickers - no remover necessary. Once mine come in, I'll let you know how they did! According to the website, it takes 1-3 days to create & I should get them in about a week. 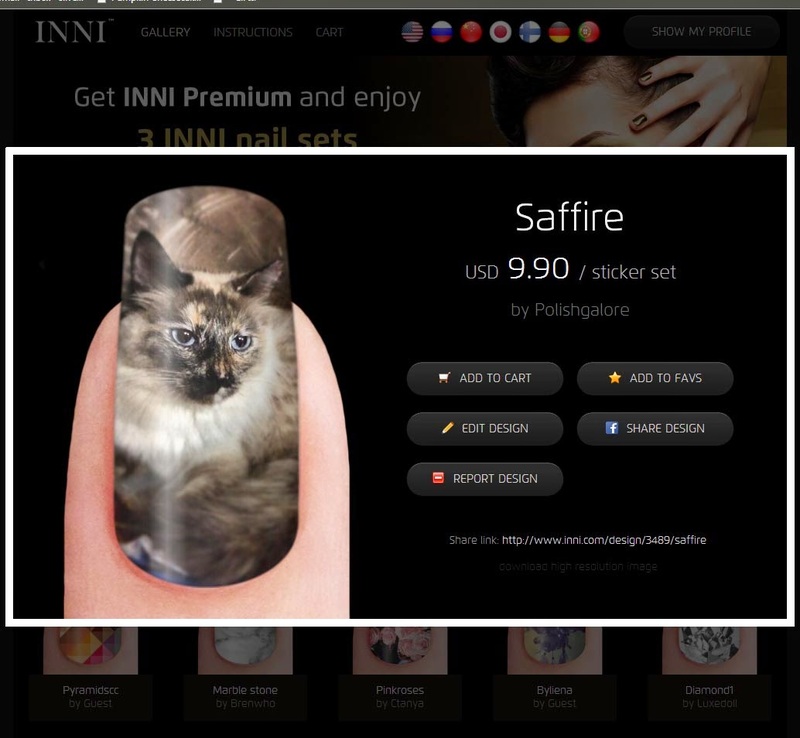 Additionally, INNI does have a partner program where you can set up your own shop and receive profits off designs of yours that sell. Please see the link for more information. So, you know I'm totally going to order Timmy on my nails, and my blog logo, because I'm going on two weeks with this logo and it's looking a little rough but I LURVE IT. Thank you for sharing with us about this company!! !